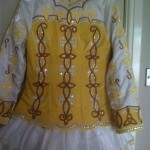 Dance dress suitable for dancer around 13-14 years. Less than 12 months old and in immaculate condition. 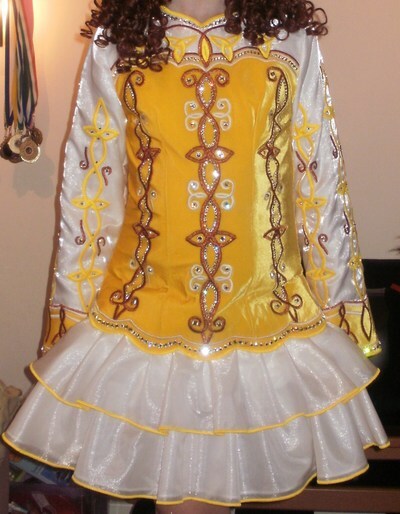 The white skirt is pristine . 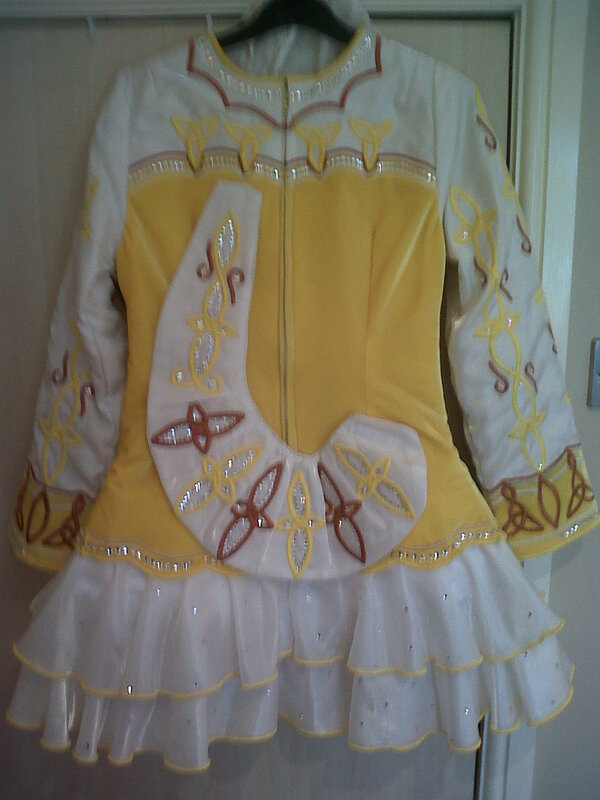 Covered in hundreds of different sized Swarovski Crystals and I have just replaced the few missing ones that I noticed had come off.The skirt has also lots of Swarovski Crystals added to it since pic was taken . 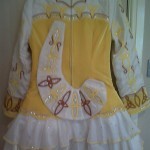 Comes with yellow barrel headband and white bloomers. 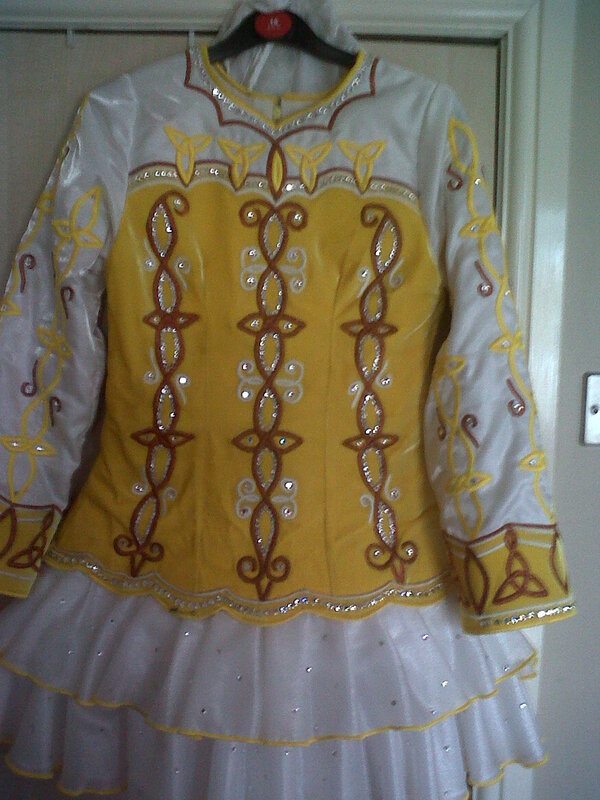 A gorgeous dress that is lovely and sparkly and striking on stage. Asking Price: £300 for quick sale. Shipping costs are not included in the asking price. Sale is final.